There are so many great ways to incorporate this flavorful and super-good-for you veg in a variety of your dishes. So, let’s take a peek at some, shall we? 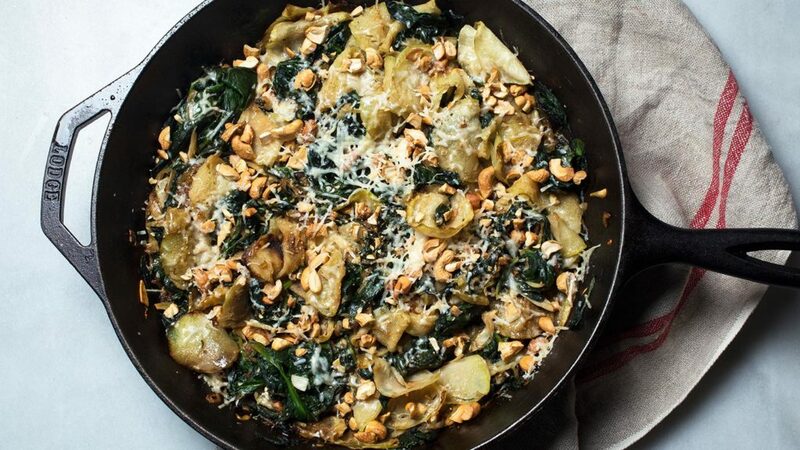 Here are 15 kohlrabi recipes to add to your weekly menu. Simply Recipes has a fabulous ham and kohlrabi bake that would be a unique and delicious accompaniment to the table this weekend. It’s a great brunch treat or something to spice up family dinner. It’s got a lot of great flavors included that are really enjoyable. Here’s a delicious side dish for any dinner and you can snag all of the details at Martha Stewart. This onion and cream bite is a great accompaniment for a main chicken entrée. Learn how to whip it up by taking the leap. 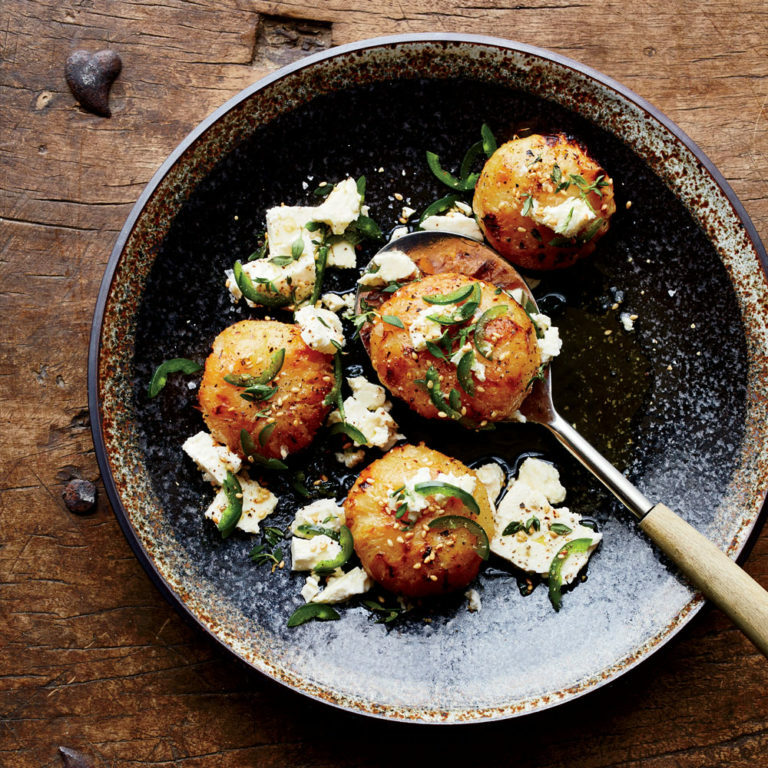 Tasting Table has another fabulous side dish to add to you weeknight menus. This cream spinach and kohlrabi bite works lovely with pork, chicken, or even beef entrees. And it’s unique too, making it more fun at the table and in the kitchen. You can fry them up too! These appetizers are unique and delicious. 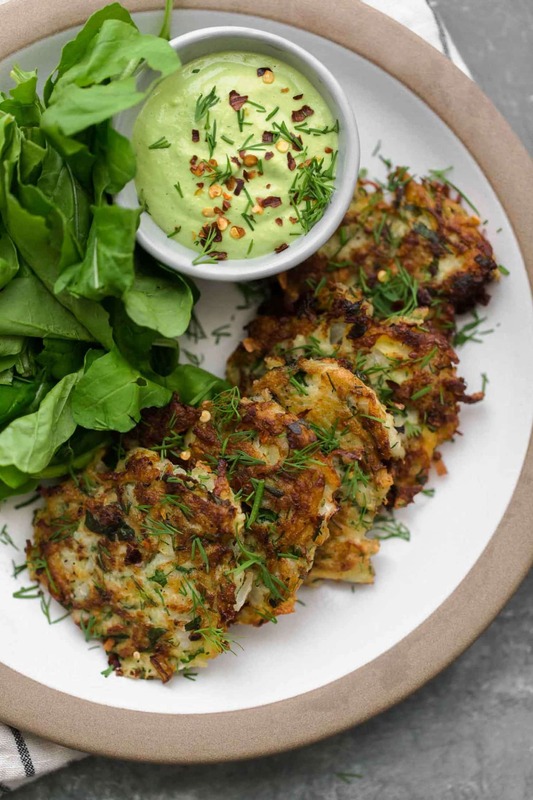 Grab the recipe and know-how by visiting Naturally Ella – and don’t forget to whip up that sauce for the fritters too. 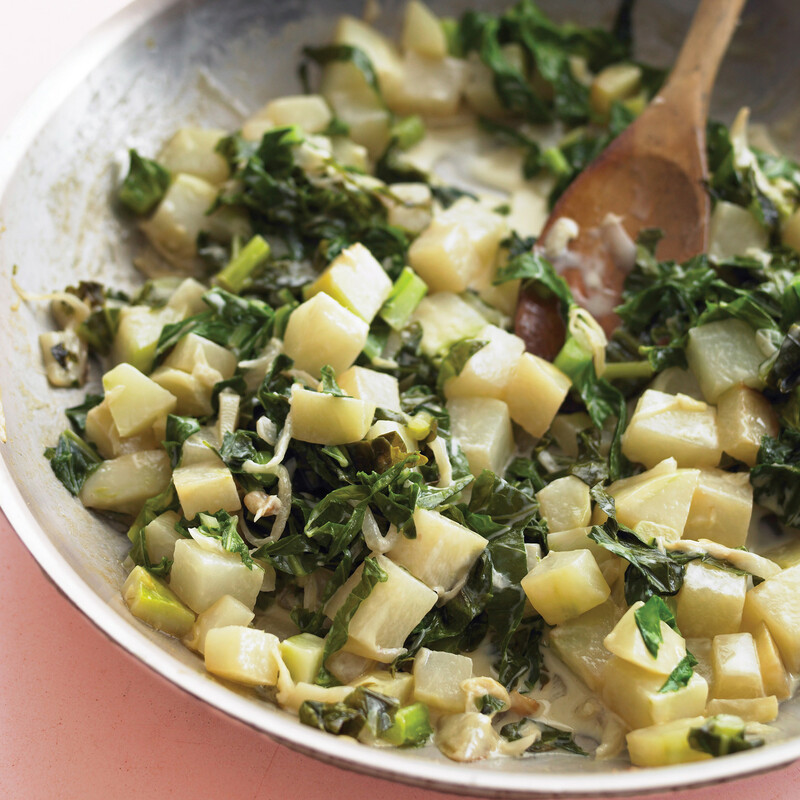 You can even whole roast some kohlrabi and brighten up dinnertime in that way. It looks like something from a fine restaurant that you could order and indulge in. Learn how to make it at Food & Wine. 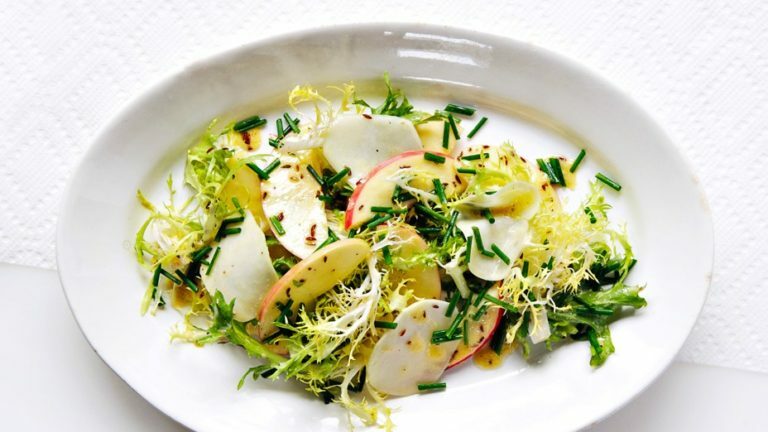 You can even serve kohlrabi up on the lighter side within a salad. This apple mix has quite the flavor and crunch, making it a great summertime or fall treat. Check out all the details at Bon Appetit. Lean Green Nutritional Fiend had some fritters up their sleeve as well. This time the kohlrabi is combined with zucchini. Just make sure you have some kind of yummy dipping sauce to finish off the bite. 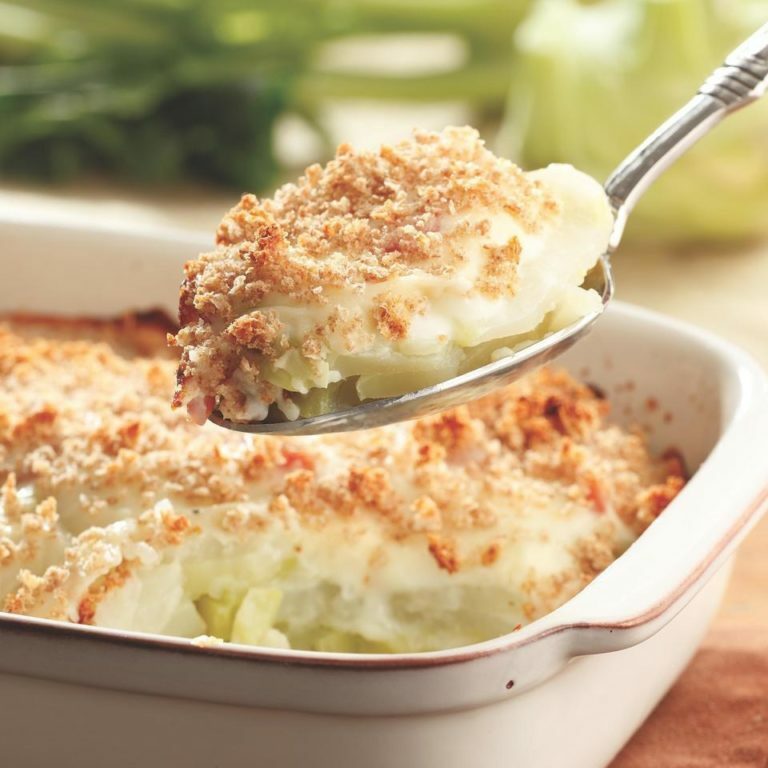 Get a bit more indulgent with this veggie treat by creating a “gratin” version of it. You can learn how to by visiting EatingWell. This is another great dish to bring to your potluck holiday or brunch! 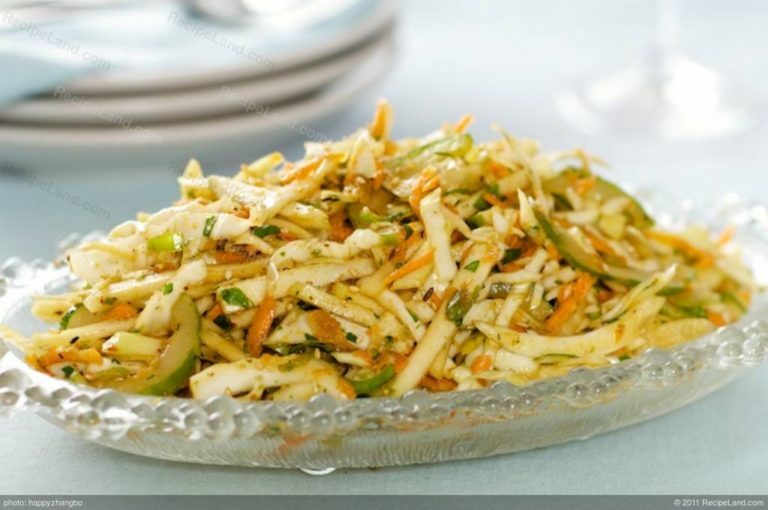 Jazz up your spring and summer BBQ’ with some slaw! 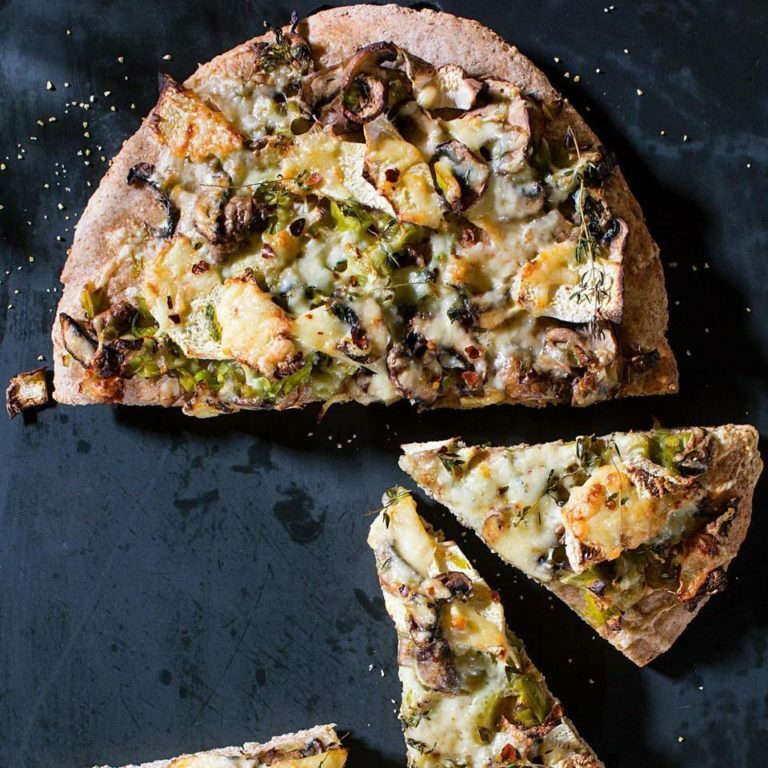 It’s a unique take on a classic recipe and full of different flavors. Catch it all at Recipe Land. 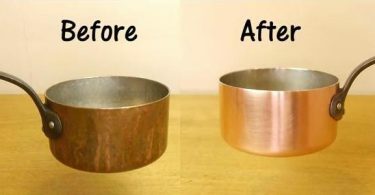 Know Your Produce has a soup that may become a part of your staple recipes. 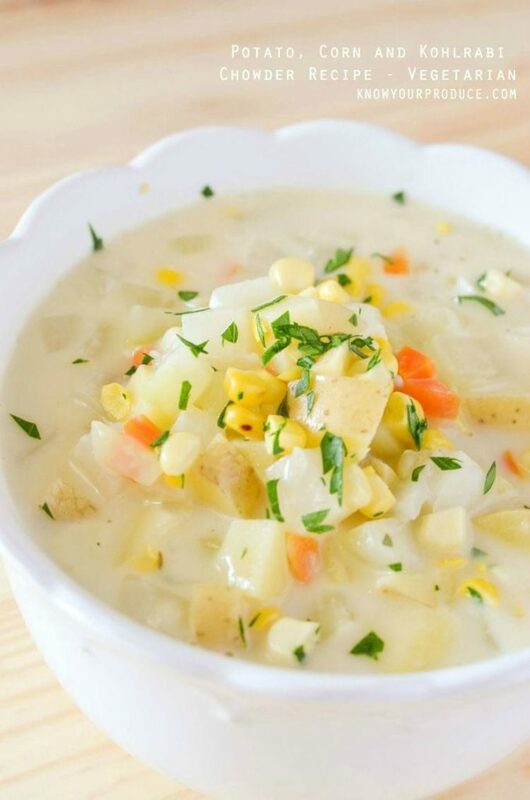 This kohlrabi and corn chowder is packed with good-for-you ingredients and great flavor. 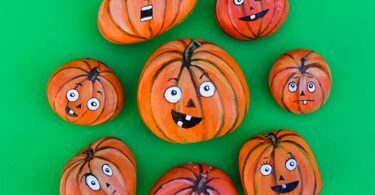 Whip this up when fall comes to call. Do you love risotto? 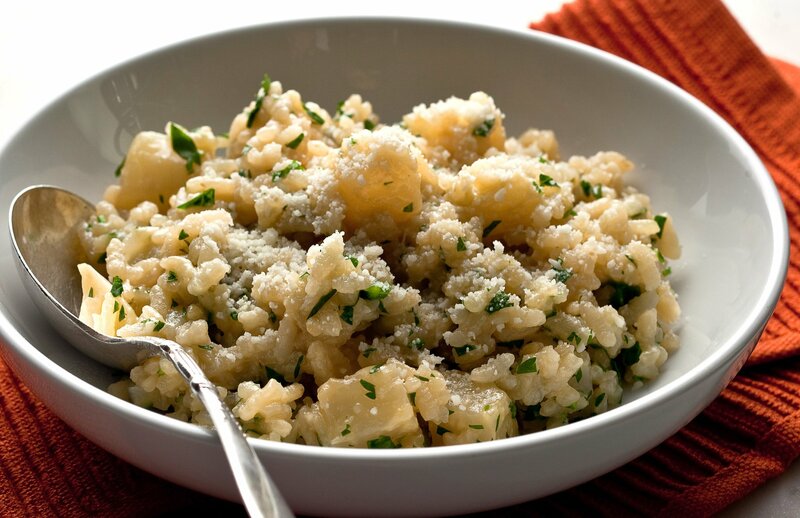 Well, you can test your skills with some of this kohlrabi risotto we found at NYT Cooking. Check it out and indulge in a bowl by the weekend. Simple Comfort Food has another cold salad for you to try. 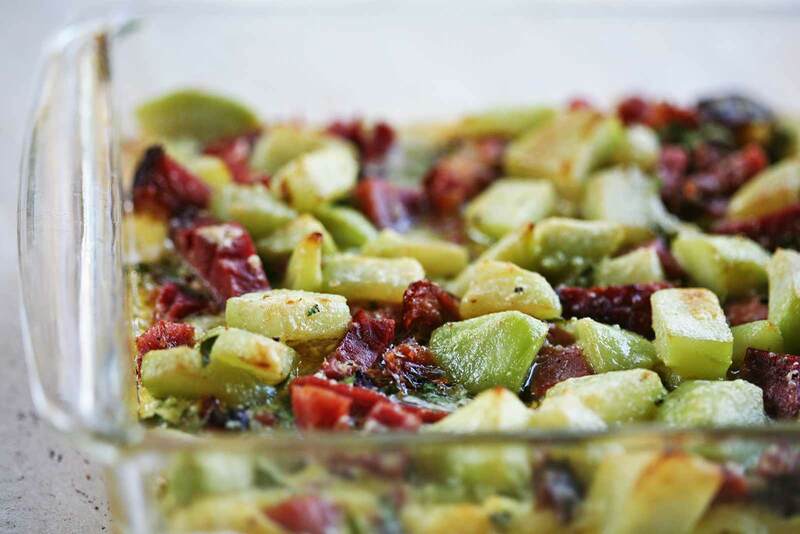 Get some crisp flavors and a great side dish to your potluck by trying it out. 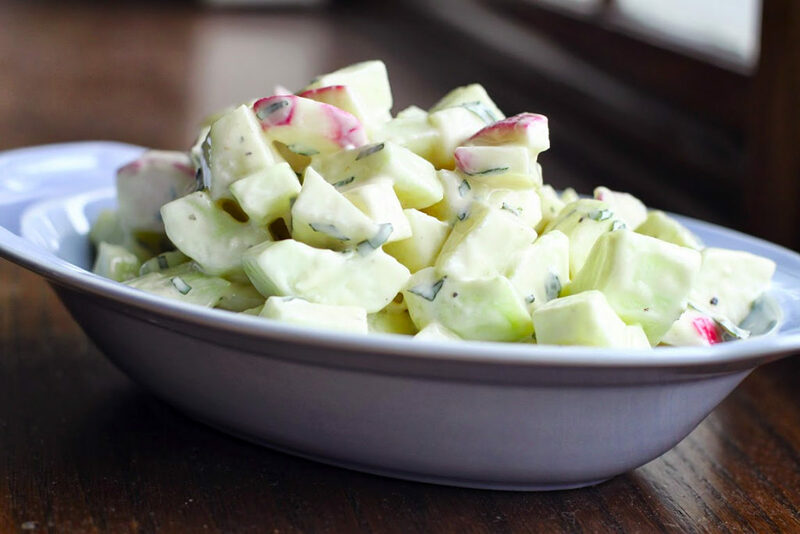 Kohlrabi and cucumber go together quite nicely. 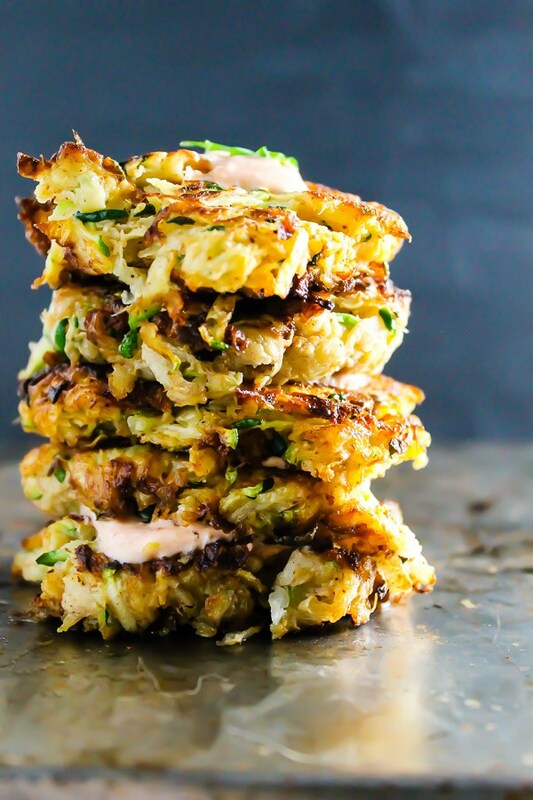 You can even make kohlrabi chips! 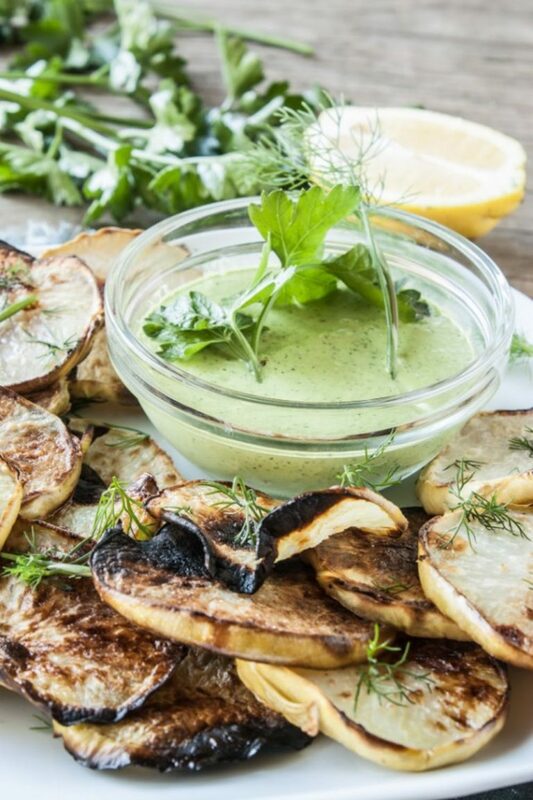 Healthy, guilt-free, but still super delicious check out the details by visiting our friends at Brit + Co. It’s the Hippie Ranch Dip that really highlights it all. 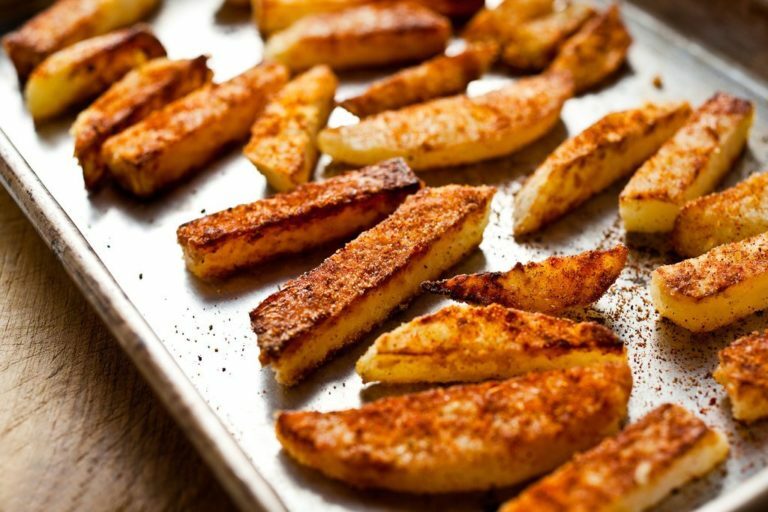 And finally, you can create some flavorful and indulgent kohlrabi home fries to highlight any meal. From breakfast to dinner, it’ll be a delicious side dish. Visit NY Times to get the recipe.